Aerial Photographs taken in Washington, Oregon, California, Hawaii and Arizona States. 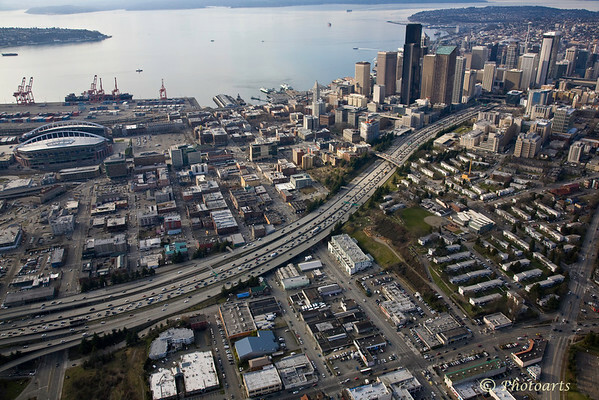 I-5 snakes its way through Seattle as captured from 3000' high. Outstanding shot, what a fantastic view!